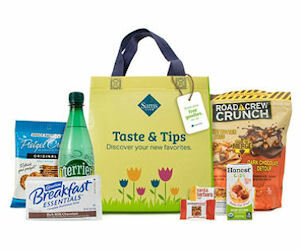 Sam's Club members can order a free Taste & Tips Sampler Bag! Add it to your cart and checkout to get it for free + free shipping! *If you receive an error please switch browsers or try accessing the page from a desktop.